The Auckland Aces were sent in to bat in today’s return fixture against Canterbury at Eden Park Outer Oval. 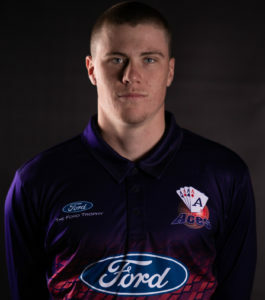 Craig Cachopa came in with the Aces at 40/2 and paired well with Michael Barry to see off Canterbury’s strike bowlers. Barry was dismissed for 42 and Will O’Donnell came to the middle for his List A debut. O’Donnell and Cachopa both then played an impressive and measured innings. They didn’t repeat the mistakes of four days ago, letting the run-rate stagnate as the Canterbury bowlers got on top. Both batsmen played shots, and once Cachopa’s 50 came up off 70 balls he accelerated handily. O’Donnell showed he was a natural fit for Eden Park Outer Oval by hitting a huge six across the road off Andrew Hazeldine, but it was as a foil for Cachopa that he really shone. Unfortunately, O’Donnell was dismissed by Will Williams for 48, with a ball that snuck between bat and pad in the 44th over. There was an obvious touch of the nervous nineties for Cachopa. He started playing some wild shots as he neared the 100 mark, losing some of his timing. In the end he brought up his third List A century with a single that should have gone for miles from the strength he clobbered it with, but it was enough. Graeme Beghin came in at six, and got straight off the mark with a 4. 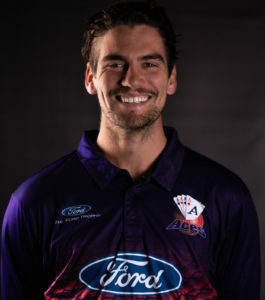 He played a handy cameo in the last five overs, reaching 32 off 18 balls, and helping the Aces hit 270 runs from their 50 overs. Canterbury didn’t begin their chase well, with Stephen Murdoch out in the second over. He was caught at second slip off Danru Ferns. Ken McClure was struck on the helmet by Mitchell McClenaghan after three overs at the crease. Since this was his first game back after a concussion, Canterbury erred on the side of caution and McClure retired not out. McConchie, in for McClure, was dismissed in the same way as Murdoch. Luke Carter then found himself as Ferns’s third victim, caught by Sean Solia at midwicket. All through this Chad Bowes was playing himself in, watching the wickets fall at the other end. When Andrew Ellis joined him in the middle, Canterbury entered a period of rebuilding. Together they put on 73 runs before Solia dismissed Ellis LBW. Bowes continued, taking responsibility for the Canterbury innings on himself, and while he was in with Cam Fletcher, Auckland couldn’t relax. He also suffered from the nervous nineties. Jamie Brown came in for his second spell from the southern end as Bowes was closing in on his century. Brown bowled what may have been the worst ball of his spell, and Bowes attempted to ramp the ball over the keeper for his hundred. Instead ferns, sprinting around from third man, took a diving catch to send Bowes back to the shed for 96. Things still weren’t comfortable for the Aces though. Henry Shipley came in and immediately started playing shots. Then Fletcher went for 63, mistiming a full toss from Ferns to McClenaghan on the boundary. In the last over, Canterbury needed 17 to win. One more than the Aces had required in their last over in Christchurch. The first ball went for six, as Shipley carted Barry over the leg side. From there Michael Barry showed his composure. 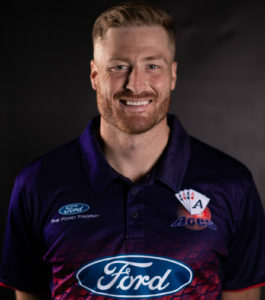 With four runs needed from the last two balls, he conceded a single – which got Shipley off strike – and then bowled a dot. Picking up four points for the victory, the Aces are one point behind Wellington. The two teams will meet on Wednesday at the Basin Reserve.